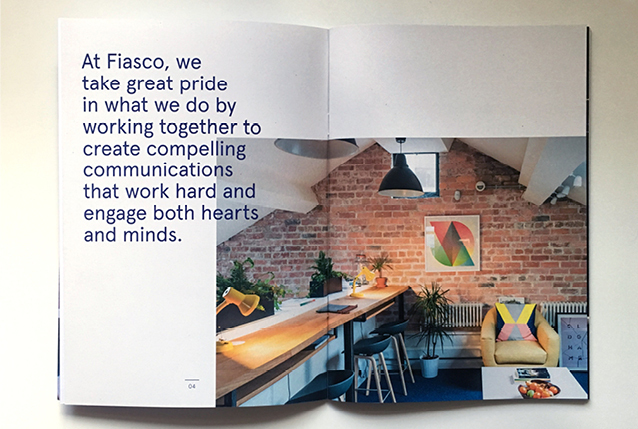 Fiasco Design are an established Bristol design studio with an reputation for purposeful and intelligent design. They had reached a natural point in their business growth where they recognised the value in taking stock of who they are and where they’re going. 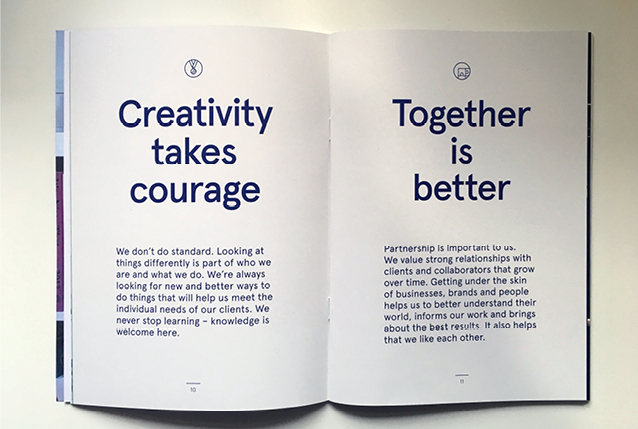 After an exploratory brand workshop with the team, we worked together to create a beautifully printed brochure that would capture the true essence of the studio, and could be used to engage potential clients and employees. 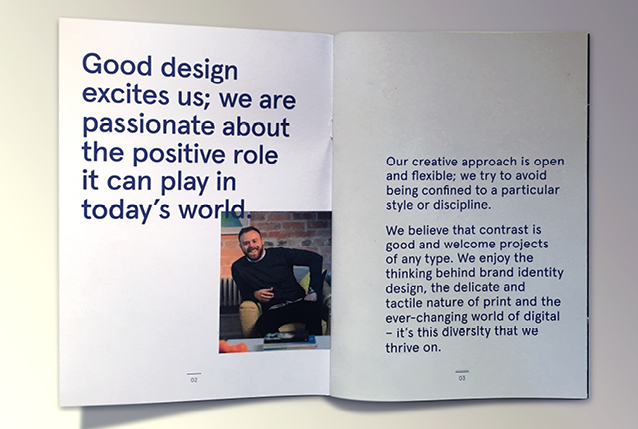 I worked closely with Ben and the team to craft words that would really capture the studio’s personality, ethos and approach.